Dr. James Elrod, one of the founders of Putnam County Playhouse. 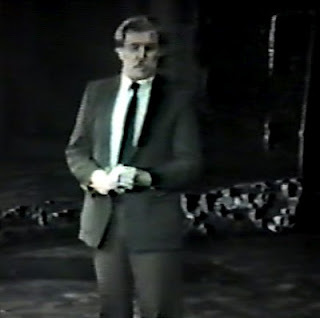 Here he is onstage at the Grand Opening of the Hazel Day Longden Theatre on June 4, 1983. Dr. Elrod talked to the invited audience about the early years of PCPH. Click HERE to see a program from the Grand Opening. DIRECTORS & AUDITION DATES FOR 51st SEASON!!!! !